Research indicates that students who procrastinate earlier in the quarter perform 4% better on finals. 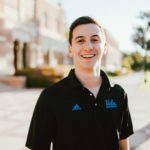 WESTWOOD – After an academically disappointing quarter, a group of second-year UCLA students has resolved to start procrastinating earlier next quarter. “I’m planning to start procrastinating at least two days before the due date for weekly homework questions, and three days before the midterms,” says Physics major Maria Diaz. Her preferred procrastination methods include obsessive cleaning sprees, attempts to upcycle old shirts, and descents into quarter-life existential crises. Fellow Physics major Olga Krasinski has decided upon unproductive activities that appear to be related to schoolwork, such as highlighting every word of her notes to make them seem more important, and making octopus-shaped flashcards in different colors for use in the future. On a similar note, Han pledges to create a file called “THE LAST FINAL DRAFT.docx” at least three days before every essay’s due date, noting that she typically creates this file two hours before the deadline. The students are careful to point out that earlier procrastination is not linked to starting the assigned work sooner. Tanu has authored some of the Enabler's most celebrated articles, and has been a substantial talent to the writing staff. Her past is somewhat mysterious, and some say that she quite resembles the infamous cat burglar who robbed the Copenhagen Grand Jubilee of all its' prize jewels in 2014, leaving only a woman's slipper, leading police and reporters to brand her as the "Cinderella Bandit."